Congresswoman Debbie Dingell statement after Ford announcement about jobs Wednesday. 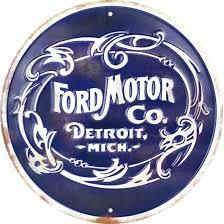 Ford Motor Company announced Wednesday, November 28, that the automaker will be cutting shifts at two locations. Ford will be cutting a shift at its Louisville Assembly Plant and at the Flat Rock Assembly Plant here in Michigan. However, Ford states that it will be moving some workers to other plants, but will not cut any jobs. According to the Automaker the company will be shifting around 500 workers from the Louisville Assembly plant to its Kentucky Truck Plant, which are both located in Kentucky. Ford stated also that 500 jobs will be moved from the Flat Rock Assembly Plant here in Michigan to its Livonia Transmissions plant which is also in Michigan. Below is a November 28 statement from Michigan Congresswoman Debbie Dingell. Bowl Bound Eastern Michigan Awaits its Bowl Selection Taking Place December 2. After defeating the Flashes of Kent State last Friday, the Eagles of Eastern Michigan are bowl game bound and that's exciting not only for EMU students and alumni, but for the city of Ypsilanti, Washtenaw County and the entire state of Michigan. I know as an EMU alum I can barely wait until Sunday to find out which bowl game EMU will be participating in! That's right! Stay tuned because our Eastern Michigan Eagles and the rest of us are now awaiting bowl selection which will happen on Sunday, December. 2. EMU finished the regular season with a record of 7-5 overall and 5-3 in the MAC. Hey, that's pretty good! Bring on Ohio State! Well, maybe not Ohio State. They're pretty good too. It will be very exciting to learn which bowl game the Eagles will be participating and when and where. Can't wait until Sunday! Flint Water Crisis Activist Melissa Mays In Brief: On Nestle Water Donations. By PWP contributor Melissa Mays of Flint. For just a few short months, Nestle donated 1 bottle per resident per week even thought they pay $200 per year to withdraw hundreds of thousands of gallons of fresh water every day. Over 80,000 Michigan residents didn't want the increase in Nestle's extraction but the MDEQ allow it anyway. 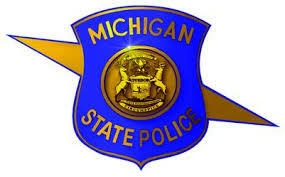 Michigan State Police reports traffic deaths remain the same during Thanksgiving holiday weekend. 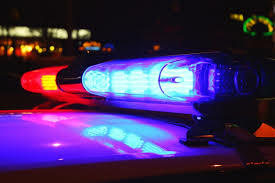 According to a November 26 press release, the Michigan State Police (MSP) announced that preliminary reports indicate 11 people lost their lives in 10 separate traffic crashes during the 2018 Thanksgiving holiday weekend, the same as during the 2017 Thanksgiving holiday weekend which resulted in 11 fatalities from 11 traffic crashes. Restraints were not used in three crashes and unknown use in three. One involved an off-road vehicle where a helmet was not worn. “These numbers are preliminary and only reflect those fatalities reported to the MSP as of 11 a.m. today,” stated Spl/F/Lt. Jim Flegel, State Services Bureau. “The preliminary numbers show the same number of fatalities from this holiday period last year. The MSP continues to urge motorists not to drive while impaired, always use proper restraints, and to make responsible driving decisions.” This according to the Michigan State Police. Accordiong to MSP, operation C.A.R.E. is a nationwide initiative aimed at reducing traffic crashes and fatalities on highways across the country. It began in 1977 as a collaborative effort between the MSP and the Indiana State Police. Today, Operation C.A.R.E. is one of the nation’s longest running traffic safety initiatives and includes state and highway patrol agencies from all 50 states, as well as some American territories, Canadian provinces, and the Virgin Islands. Operation C.A.R.E. also includes participation from police agencies affiliated with the International Association of Chiefs of Police (IACP) as well. Parola Perspective In Brief: On Michigan Football. By PWP contributor Brooks Parola formerly of Flint Town. You know folks, if OSU beats Northwestern (probably will) and Georgia loses to ‘Bama, (probably will) OSU probably makes the playoff, and the Rose Bowl chooses 2 loss Michigan instead of 5 loss Northwestern. 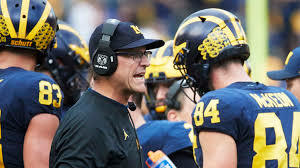 I don’t know how that’s any worse than anything Bo did (who many of you still revere like a god) and unlike Bo, Harbaugh may actually win the damn thing! Ypsi Bike CO-OP celebrates two years of serving the local community. The Ypsi Bike CO-OP just concluded year two with the Ypsilanti Depot Town Farmers Market. 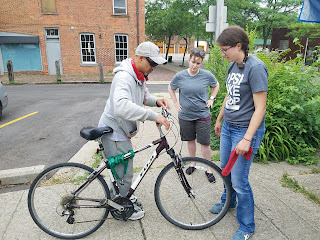 The Ypsi Bike CO-OP offers a great service to the community by helping people in the local community fix their bikes, learn the basics about bike maintenance and providing donated bikes to folks in Ypsilanti so that they can ride a safe bike. Very cool! According to a statement from the Ypsi Bike CO-OP, "The co-op received donations of fixable bikes, with the intent to provide them to individuals that may not only use them for recreation, but need them for basic transportation. The Co-op is planning on expanding programs in the future to better serve the community, such as specific workshops on common bike repairs." In 2018 20 CO-OP volunteers worked on over 250 bikes while racking up nearly 700 hundred volunteer hours and 16 donated bikes. Twenty-one of the bikes given back to the community, according to the CO-OP. CO-OP volunteers have been very moved and motivated by human stories they have encountered as they have become a part of peoples lives in the community. According to a statement from Ypsi Bike CO-OP, "A resident came to us in desperate need of reliable transportation, and was not able to afford a new bike,“ said co-op volunteer Katie Carlisle. “We assembled and tuned a solid, reliable bike from spare parts and got him riding again,” said Carlisle. Be on the look out because Ypsi Bike CO-OP will return to the Ypsilanti Farmers Market Depot Town next year! The United Way of Washtenaw County awards $100,000 to support equity. Tuesday, November 13, the United Way of Washtenaw County (UWWC) announces its grant investments to local programs and initiatives that address racial and socioeconomic inequities in Washtenaw County. These grantees are serving communities of color and individuals and families with lower incomes. United Way volunteers invested nearly $100,000 in 12 programs, seven of which focus on people in Ypsilanti. “Our donors and volunteers create solutions for our community. When we live united, ideas become possible,” shared Pam Smith, President and CEO of UWWC, according to UWWC. Other agencies receiving grants are Avalon Housing, Fair Housing Center of Southeast & Mid-Michigan, Food Gatherers, Riverside Arts Center, OptiMize at the University of Michigan, Success by Six GreatStart Collaborative, Washtenaw Futures, We the People Growers Association, and Ypsilanti District Library stated UWWC. As part of our 96-year history, the United Way of Washtenaw County brings people, organizations and resources together to create a thriving community for everyone. Our focus areas of Health, Education and Financial Stability provide the building blocks to strengthen the community and create opportunities for individuals and families. Our Volunteer Center provides an easy online way for people to connect with nonprofits in the community and our 2-1-1 helpline refers more than 8,000 people annually to critically needed services. To learn more, donate, or volunteer, visit uwgive.org. This according to UWWC. The PWP What's the Buzz Ypsilanti Crime Summary. This is the latest Ypsilanti crime summary provided to Purple Walrus Press from the Ypsilanti Police Department. This summary provides general highlights of items of interest and according to the Ypsilanti Police, does not necessarily reflect every incident responded to or on-going investigations. This crime summary spans a 24 hour period starting at 12:00 am , through 11:59 pm for 11/12/18. 800 block of Fredrick: Victim reported being physically assaulted by her husband earlier in the day. Suspect was arrested on the scene and placed in jail. Charges were submitted. 300 Block S. Hamilton: Victims stated that they were away for the weekend on a retreat and when they returned their vehicles had been entered although nothing was taken. 700 block of Grove: Officers were dispatched to the location about a subject taking liquor. Investgation ongoing. Michigan and Prospect: Officers were flagged down in the vicinity regarding a motorist who was unconscious. The driver was given two doses of narcan and was then transported to Saint Josephs Mercy Hospital.. A blood draw was completed at the hospital. And that's a rap for now. Ypsilanti City Council is Accepting Applications for Ward 2 Council Member Vacancy. According to a November 13 press release from the City of Ypsilanti the Ypsilanti City Council is accepting Applications for Ward 2 Council Member Vacancy Ypsilanti MI, November 13, 2018. The Ypsilanti City Council is accepting applications to fill the Council Member – Ward 2 vacancy. Applications are available on the city’s website at www.cityofypsilanti.com and at the City Clerk’s office, 1 S. Huron Street, Ypsilanti, MI, according to the press release. In order to be eligible to be appointed to this position, you must have resided within the City of Ypsilanti Ward 2 for a minimum of 30 days prior to your appointment to Council; and you must have been a registered voter in Ward 2 on or before November 1, 2018. This according to statement from the City of Ypsilanti. All applications must be completed on the application form and received by the City Clerk in person at Ypsilanti City Hall no later than 5:00 p.m. on Tuesday, November 27, 2018. Candidate interviews will take place Monday, December 3, 2018 with a possible Council vote and swearing in of the new Council Member on Tuesday, December 18, 2018, according to the press release. Parola Perspective In Brief: GOP unable to show proof of any voter fraud. According to lawyers for the Democrats in Florida, wanting nothing more than to ensure that all votes are counted, “not one iota of evidence of voter fraud was brought into the court today” to help prove Scott’s claims of voter fraud. This despite his claims of fraud at news conferences, flooding social media with such charges, and intimidating protesters claiming fraud on his behalf. So, just like all of the GOP’s previous claims of voter fraud, throughout the country, over the years, once again, they are unable to show proof that ANY fraud had taken place. Eastern Michigan is bowl eligible after defeating Akron. 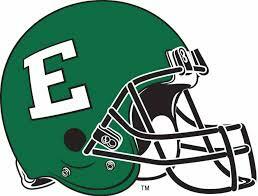 Eastern Michigan University is bowl eligible after knocking off MAC foe the University of Akron Saturday at Rynerason Stadium in Ypsi. EMU's stellar defense paved the way for a convincing 27-7 victory for the Eagles of Eastern Michigan. EMU stifled Akron by holding their offense to only 90 yards of total offense and no touchdowns. With one game remaining, the 6-5 Eagles are bowl eligible for the second time since 2016 when EMU played in the Bahamas Bowl. Offensively for EMU, Quarterback Tyler Wiegers completed 15-23 passes for 129 yards and senior runningback Ian Eriksen rushed for a respectable 96 yards on 15 carries. Congratulations to EMU Football! As a long-time EMU Football season ticket holder I'm excited! Beth Bashert Elected Mayor of Ypsilanti On this Election Tuesday. Beth Bashert has been elected Mayor of Ypsilanti. 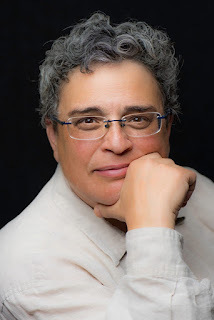 In her acceptance speech given at the Tap Room Bar &Grill in downtown Ypsilanti Tuesday evening Beth Bashert stated the following. "Winning today means a lot to me, and I hope a lot for our community. Ypsilanti will be making some key decisions in the next few years about our future. I look forward to working with constituents to establish a direction on housing issues, key infrastructure decisions, protecting our stretch of the river from climate change, development, public safety, greater justice, and much much more. How we have community conversations is vital in all of these issues. Civility is an over-used word and an underused tool. If we saw nothing else during this campaign, we saw how vulnerable our community is to the hateful online rhetoric and conspiracy theories our society is struggling with nationwide. That tactic accomplishes nothing but divisiveness between neighbors, mistrust, and hurt feelings. That is no way to run a city. Angry rhetoric is not dialogue -- healthy evaluation and listening on both sides is. While I can’t speak for others, you can count on me to work towards healthy DIALOGUE, which is the only way to reach unity, in my opinion. 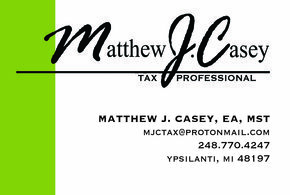 I know that all of us want what is best for all of Ypsilanti and Ypsilantians. For most of us, that means equal treatment, good jobs, safe and affordable housing, access to services, a vibrant downtown and nice parks, accessibility for all. 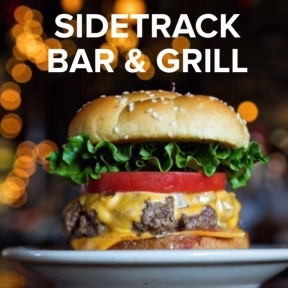 Ypsilanti is a welcoming, diverse community and we all want to keep it that way." Congratulations to new Ypsilanti Mayor Beth Bashert! 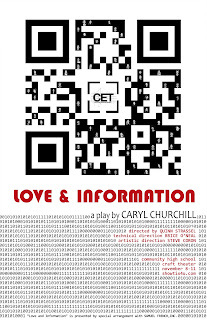 Community High Ensemble Theatre to perform Love and Information November 8 through the 11th in Ann Arbor. Community High Theatre Ensemble will be performing the play Love and Information at Community High School in Ann Arbor. CET will be performing the play November 8 through the 11th at Community High School. 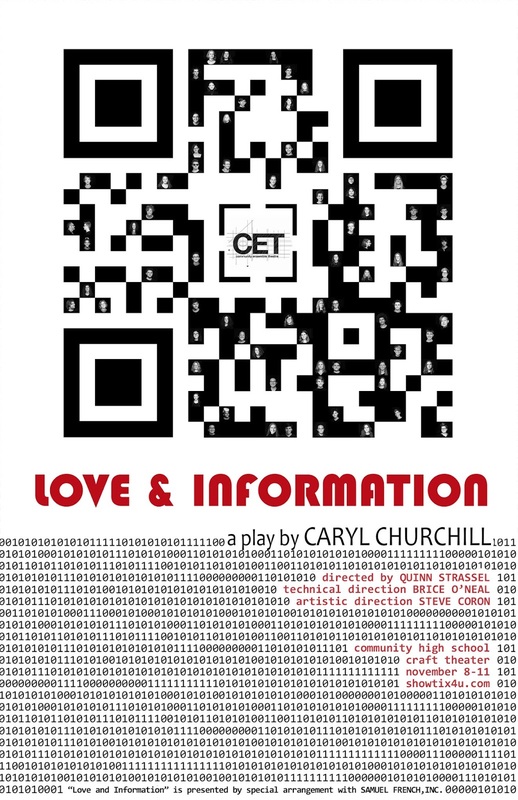 Written by playwright Caryl Churchill, Love and Information will be a unique theater experience that is certain to make you laugh, cry and contemplate. I love it. After all, this is what theater is supposed to do! Essentially, Love and Information is a fascinating collection of short scenes that reflect on the human condition in today's complex modern world. Sounds pretty fascinating to me! Count me in! Thursday, November 8th at 7:30pm. Friday, November 9 at 7:30pm. Saturday, November 10 at 7:30 pm. Sunday, November 11 at 2:00pm. Power Outage in Normal Park Neighborhood Tuesday in Ypsilanti Affecting Approximately 200 Customers. According to an DTE Energy employee a pole top fire near the corner of Owendale and Congress in Ypsilanti's Normal Park Neighborhood is responsible for a power outage that is affecting approximately 200 customers on this election day. According to DTE the voter polling location at the Senior Center in Recreation Park in the Normal Park Neighborhood is not affected, and that's good news for local voters. PWP was not able to get a restoration estimate at this time. Voter Turnout Appears High in Ypsilanti On This Election Tuesday. As of 8:15 am Tuesday morning voter turnout appeared high in Ypsilanti on this very important election day. At the Estabrook Elementary polling location in Ypsi voter turnout was brisk and steady as local residents hustled into the school to cast their vote on the way to work. According to one poll volunteer turnout at the Estabrook polling locale was very busy upon opening Tuesday morning at 7 am. Remember to Vote Tuesday! This is a big one! Some Basic Voting Info Ypsilanti. I know you've heard it a million times over the past several weeks, but this election is a big one! I mean really big! Folks will decide the course of action that this country will take regarding many extremely important issues and values, quite frankly. In essence, right now America finds itself at a crossroads. The road this nation will travel will become more clear Wednesday morning. And now for that basic Ypsilanti voter information. Voting Precincts will be open for voting from 7 a.m - 8 p.m. on election day. Eastern Michigan Up-Ends Central Michigan on the Gridiron Saturday in Ypsi. The Eagles of Eastern Michigan University knocked off the Central Michigan Chippewas on the gridiron at Ryneason Stadium (The Factory) Saturday afternoon in Ypsilanti. Under sunny skies and temperatures in the 40's you couldn't ask for a better football weather Saturday here in the upper Midwest. Best of all, however, was a much needed win for our EMU Eagles. With a record of 5-5 the Eagles need one more win to become bowl eligible and that would be something special. November 10 EMU takes on Akron and on November 23 our EMU Eagles finish the season against Kent State. Near the end of the first half EMU quarterback Mike Glass went down with what looked like a serious injury to his leg...Yes, Glass missed several games this season after suffering a serious injury to his leg while playing Toledo. Not good. After the injury to Glass Saturday, a very capable Tyler Wiegers came into the game for Eastern completing 17 of 25 passes for 150 yards. EMU running back Shaq Vann rushed for 117 yards on 13 carries. However, it was EMU's stellar defensive play that paved the way to victory Saturday over the Chips of CMU. Next up Eastern Michigan takes on Akron at The Factory at home in Ypsilanti. Kick off at noon! Ypsilanti Police Department Crime Summary: November 1. This is information is taken from the latest crime report provided to Purple Walrus Press from the Ypsilanti Police Dept as of Nov 2, 2018. This information does not contain every crime reported in recent days, but those that PWP feels is of interest in the area. On November 1, 2018: In the 800 block of Charles: Victim reported that unknown person(s) entered his possibly unlocked vehicle overnight stealing two rings and an iPod. No suspect information at this time. Nov 1. 200 block of N.Summit: Victim reported that person(s) smashed out the driver's side of her vehicle while parked on the street. The vehicle did not appear to be entered. No suspect information at this time. Nov 1. 300 Block of Worden: Victim reported that the home was entered through an unlocked door and that electronics were taken. Investigation on going.